It’s been awhile since I have done a Workout Wednesday post. I am happy to report that although I’ve been slacking on posting about my workouts, I’ve been doing great at actually getting them done. As of late I’ve been getting in 1-2 good runs during the week, 2 Turbo Kick boxing classes, and 1-2 days at the gym doing cardio and weight training. I had to cut back on running because my left hip has been driving me nuts and I took it as a sign that I needed to change things up. I am also preparing myself because this Saturday is the much anticipated 10k Camp Pendelton Mud Run. I’m already fearful enough as it is, so having a bunk hip would literally add insult to injury. Stay tuned for my thoughts on this crazy race and of course some photos of me and my teammates caked in mud. I actually think I am going to see a doctor about my hip after this weekend. Something needs to be done soon because I SIGNED UP FOR MY FIRST HALF MARATHON! My friend Ryann told me about it and it sounded like the perfect first half for us to do. It’s in Long Beach in mid October and has been describe as a flat, fast course with all ocean views. This picture actually gets me excited just thinking about it. I’m not setting my expectations too high for my first race…I just want to enjoy it, and finish it! I’ll be getting serious about training soon, and I’m really hoping this pain I’ve been feeling is temporary and not any kind of injury that requires long term rest. I’ll do whatever it takes though to make it go away! I still can’t believe I have willingly signed up to run 13 miles. Did you all have the timed one mile run while in middle school? Did you know that day made me sick to my stomach every year, and every year I would try to play sick to get out of going to school? It was 4 laps around our school track. I hobbled through the first lap and would walk the last three….always coming in dead last. Overweight, out of shape, exhausted and embarrassed. This is this feeling I have always associated with running, so to have come this far isn’t just about the exercise and getting in shape, it really has meant so much more to me. Speaking of coming so far in the last few months, I wanted to share some of Greg’s progress because I am just so proud of him. He has not only supported me and our new way of eating, but has embraced it 110% and enjoys it which has made these changes so much easier for our whole family. He is 1 lb away from weighting in his 180s. He has NEVER weighed in his 180s since I have known him. He’s lost over 40 lbs since January! We don’t have that many photos of us together as a couple these days so I was shocked to see the difference in one of our last photos together compared to us from this past weekend. 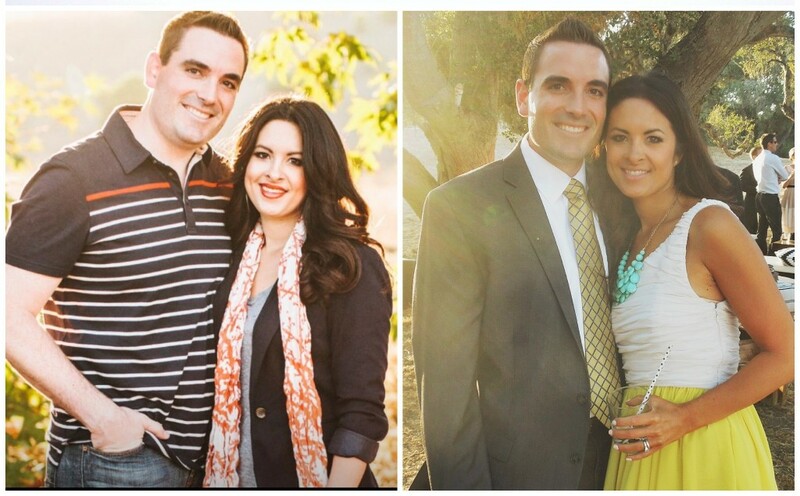 There are almost 70 lbs missing in the photo on the right! 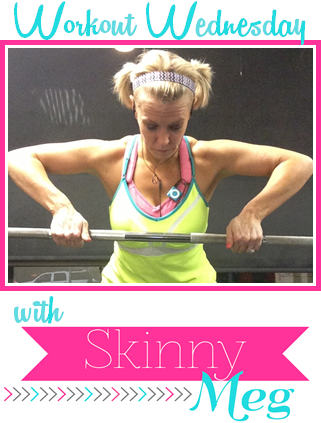 And since it’s Workout Wednesday I’m linking up again today with Megan over at www.skinnymeg.com. Today she is sharing great tips on how to lift weights, which something I am working on doing more of. The changes in her body since lifting have been dramatic so head on over to see what she’s been doing. That’s all for today….Hope you’re having a great week! Thanks for the shoutout, friend! I’m so excited for the Mud Run Saturday and still can’t believe that in a moment of insanity we signed up for the half. I look forward to training with you! XO P.S. Hope your hip feels better soon, too! You both look amazing! And a half marathon? You’re killing it mama! Thanks Lindsay….I’m actually terrified of the half, especially since I have been hurting lately. But thanks for the encouragement! Your running totally gives me hope – I was that kid in gym class too!! Lauren! Those pictures of you two side by side are insane!! You guys both just look so so so handsome and healthy! Wow. And I’m glad you posted Greg’s update – I would be shouting that victory from the rooftops too! Thank you always for your encouragement Kara, it really means a lot. And I know…I am so proud of him its crazy!!! Lauren…you guys look fantastic! What a great achievement thus far! Good luck for the Mud Run on the weekend! Will keep a look out for your IG pics. I’m training for a 10km run at the Gold Coast Marathon (Aust)…it’s in 4 wks. My hip/ITB etc is playing up too…scaling back the running & doing lots of strength work! Hope I can pull it together by July 6! Can’t wait to follow your half marathon journey. I’m hoping to do my first next year! Thank you Tracey!!! How awesome you have a 10k coming up! I really hope your hip/ITB get in check for you. That is EXACTLY what I am going through. Do you have any recommendations of what you’ve been doing for strength training? I say you put a half on the calendar and go for it! Keep up the great work.